An exciting new series of early learning novelty board books that combine Scholastic’s strength in learning with beautiful photography and clear designs to stimulate early learning. 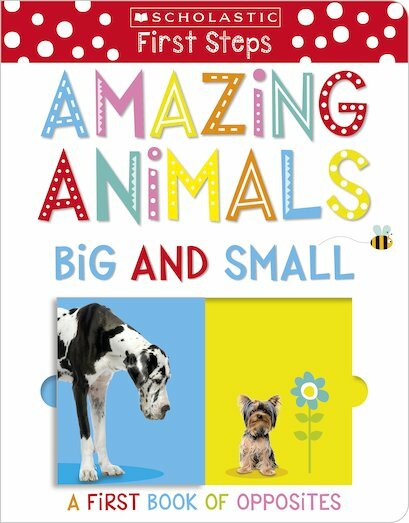 Amazing Animals Big and Small is a fun interactive introduction to opposites. Young children will enjoy looking at the bright, colorful pictures and opening the flaps and sliders to reveal even more animals. As they grow, they will also love comparing the opposites with each other and making connections with the world around them. A combination of bright photos and sweet illustrations make this book instantly appealing. Children will learn the concept of opposites, while having fun and gaining essential hands-on skills!